Whatever Virgil Abloh put his finger on turns to gold, or in this case, vibrant orange. The OFF-WHITE founder previously took to Instagram to tease the ‘Mercurial VaporMax Hybrid’ as part of his collaboration with Nike. This time, official images of another design, the ‘Mercurial 12 Elite’, has surfaced. 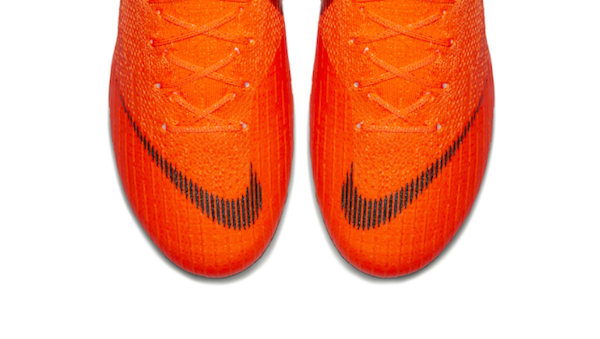 The football boots take on a bright orange aesthetic with white and blue details throughout. It has a knitted construction and carries Abloh’s signature “KNIT” label at the sides. Check out the collaborative shoes below.